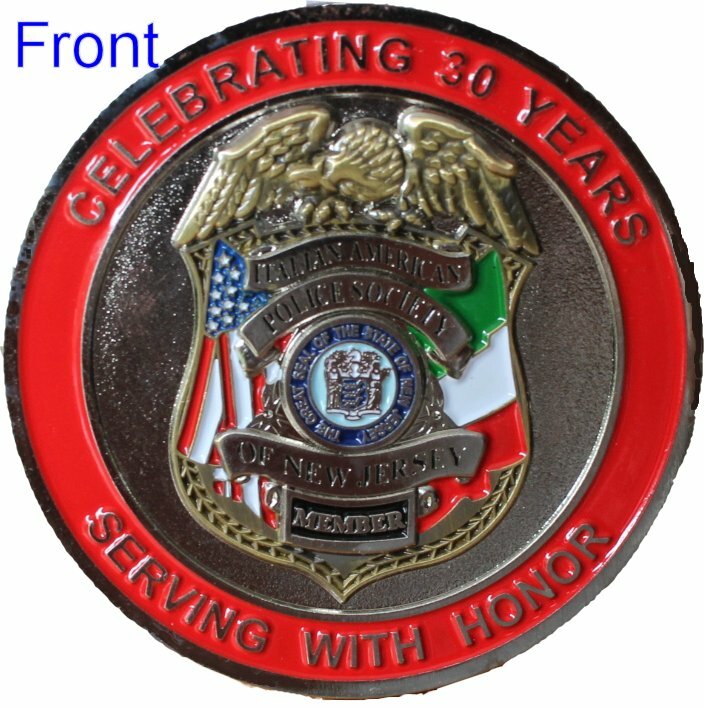 The Italian American Police Society of New Jersey presents Challenge Coins. 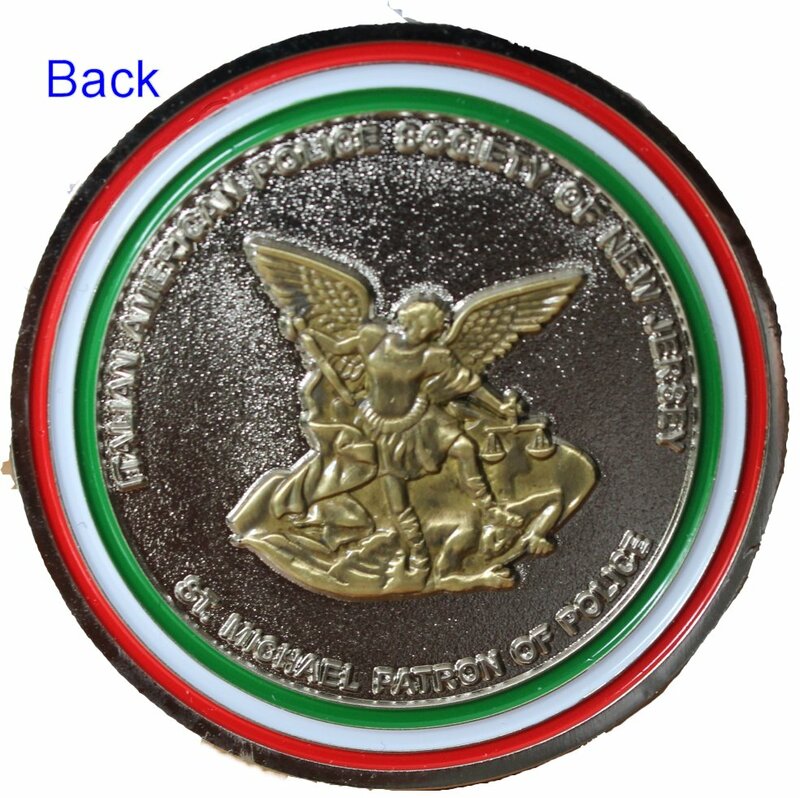 Use this form for inquiries about the Challenge Coins. The price on this page includes shipping. These coins are also available from board members and at general membership meetings.